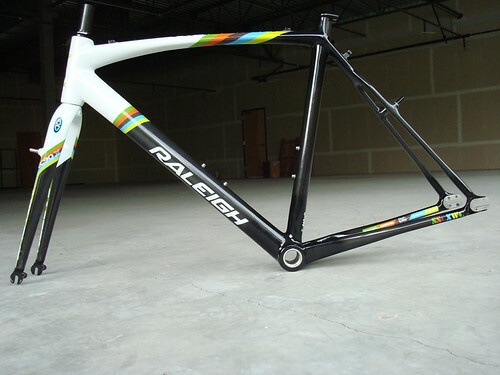 Raleigh SS XC WC Frame Still Available!?#@??? $1200 – Full carbon and setup for Gates Belt Drive if you are so inclined. It’s such a hot looking bike it’s no surpise it was one of the more photographed builds at Interbike 2010. The real shocker is that somehow there are still some available for order. Prior year SSXCWC framesets have sold quickly, but they’ve been aluminum. This is a significant step up including a swap over to an Edge/Enve fork (not the Easton pictured). I didn’t race a single cross race this season, but I love my SS Cross bike. So versatile, so simple and you can set it up fixed or free. It’s like a BMX bike for adults.